IDENTITY MISSION BELIEVES THAT GOD'S DESIGN OF FAMILY FOR THE CARE OF A CHILD IS A MODEL THAT WE SHOULD STRIVE TO DUPLICATE WHEN PROVIDING SOLUTIONS FOR CHILDREN IN VULNERABLE SITUATIONS. NO MATTER THE REASON, WHEN A CHILD IS TORN FROM THEIR FAMILY SETTING AND IS LEFT ABANDONED, ORPHANED, OR SIMPLY VULNERABLE, RESEARCH HAS PROVEN THAT THE BEST ANSWER FOR THAT CHILD IS PLACEMENT IN A CARING FAMILY. THEREFORE, FAMILY-BASED CARE PROGRAMS ARE ALL ABOUT KEEPING KIDS IN FAMILIES. THE FAMILY-BASED CARE MODEL FOCUSES ON PLACING CHILDREN INTO A FAMILY SETTING WHEN THEY NEED ALTERNATIVE CARE BECAUSE OF A DISRUPTION IN THEIR IMMEDIATE BIOLOGICAL FAMILY. THIS CAN BE FOSTER CARE OR KINSHIP CARE. WHILE SIMULTANEOUSLY, IF FEASIBLE, ALSO STRENGTHENING BIOLOGICAL FAMILIES THROUGH EDUCATIONAL, ECONOMIC, MATERIAL AND PSYCHOLOGICAL SUPPORT SERVICES IN ORDER TO IDEALLY REINTEGRATE CHILDREN BACK WITH THEIR BIOLOGICAL FAMILIES. IF REINTEGRATION IS NOT POSSIBLE, WE ADVOCATE FOR AN EVENTUAL MOVEMENT INTO AN ADOPTIVE OR FOREVER FAMILY. Research has proven again and again that the best care of a child HAPPENS WITHIN a family atmosphere. "The child for the full and harmonious development of his or her personality should grow up in a family environment." Therefore, our Family-Based Care programs SEEKS to reach an orphan's inner most need: to know and have a family. It is within the family environment that children develop an identity, sense of purpose and belonging; therefore, to this end, Identity Mission's efforts are established in providing family care in order to prevent more children entering institutions and therein being stripped of their identity. In all of our efforts, Identity Mission partners with the local Honduran churches that have the heart to help vulnerable children and at-risk families in their community. we invite the local church to be a part of each Identity Mission program, working alongside our staff in keeping kids in families. In foster care, the church puts out the call for families to foster, provides respite care, or donates resources. The congregation surrounds the foster families and foster children with love and assistance. In family preservation, the church meets struggling families in their community through their connection with Identity Mission; then works with us in disciplining the family and assisting with providing sustainability so that the family isn't separated due to poverty. Third, in the orphanage partnership program, mentors from the local church hold Bible studies with youth living in local orphanages, using Identity Mission's "Discover Your Identity" curriculum. The church also ministers to the entire orphanage regularly through providing resources and community for the children that reside on the campus and are otherwise very secluded. Through the local church, Identity Mission empowers a partnership that will establish family-based care and orphan prevention that is grounded in faith and sustained by the church body. Until 2012, there were only a handful of foster families throughout Honduras, and mostly solely for children with special needs. 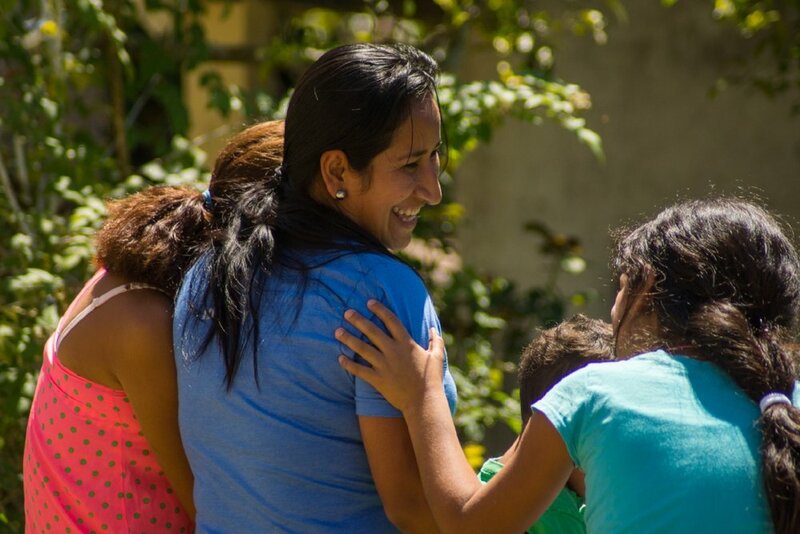 As God has equipped us, we now have an operating foster family program in three regions of Honduras. Our foster families are supported by IDENTITY MISSION caseworkers, regular training, assistance with resources, a LOCAL PARTNER church THAT GRASPS THE VISION OF FAMILY-BASED CARE AND WHO IS COMMITTED TO SERVING THE FAMILIES WHO CARE FOR ORPHANS, and family support events. SIMILAR TO OUR FAMILY PRESERVATION PROGRAM, WE WALK WITH FAMILY MEMBERS THAT HAVE CHOSEN TO RAISE THEIR NEPHEWS, NIECES, GRANDCHILDREN, OR OTHER BIOLOGICAL FAMILY MEMBERS. WE SUPPORT THESE FAMILIES BY AIDING IN CONSTRUCTION PROJECTS TO MAKE ROOM FOR THE CHILDREN THAT THEY ARE CARING FOR, HOME IMPROVEMENTS TO BRING THEM UP TO A BETTER LIVING STANDARD, MICRO BUSINESS SUPPORT, EDUCATION SPONSORSHIP FOR THE CAREGIVER TO RECEIVE THE NEEDED EDUCATION FOR A BETTER JOB, OR ANY OTHER NECESSARY SUPPORT TO HELP A CHILD GROW UP IN THEIR FAMILY AND CULTURE. KINSHIP CARE IS AN IDEAL OPTION OF ORPHAN CARE! IN EFFORT TO PREVENT CHILDREN FROM EVER EXPERIENCING SEPARATION FROM THEIR FAMILIES, AT-RISK FAMILIES ARE IDENTIFIED, AND IDENTITY MISSION COMES ALONGSIDE THE FAMILY TO PROVIDE THE SUPPORT NEEDED TO PREVENT SEPARATION. OUR FAMILY PRESERVATION DIRECTOR EVALUATES THE FAMILY'S SITUATION AND MEETS THEIR IMMEDIATE NEEDS, PREVENTING DEEP TRAUMA TO THE CHILD AND FAMILY. ONCE THE CRISIS IS AVERTED, IDENTITY MISSION THEN WALKS ALONGSIDE THE FAMILY TO DISCOVER THE BEST MEANS FOR SUSTAINABILITY. Care within a family is unequivocally ideal for children. Yet, we honor the devoted care provided by many quality residential facilities. We partner with them by hosting our annual Identify Solutions Conference for orphan care providers to equip ORGANIZATIONS WORKING FOR ORPHANED AND VULNERABLE CHILDREN with training and resources. WE also provide a yearly retreat for youth growing up in orphanages to develop an understanding of their identity in Christ. in addition, we ENCOURAGE CHURCH PARTNERS TO BEGIN A MENTORSHIP PROGRAM WITH THeiR LOCAL ORPHANAGES, WHERE BELIEVERS CAN BEGIN A MENTORSHIP WITH teenagers LIVING IN ORPHANAGEs. THROUGHOUT THE MENTORSHIP, THEY WALK THROUGH A GUIDED CURRICULUM ON THE SUBJECT OF IDENTITY IN CHRIST CREATED BY IDENTITY MISSION.